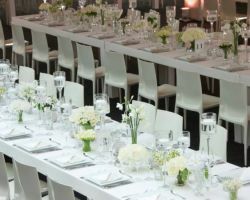 Of course you want all of the wedding vendors serving your wedding to be experienced and of the very best quality, but this experience is especially important when it comes to the wedding flowers in New York City, New York. 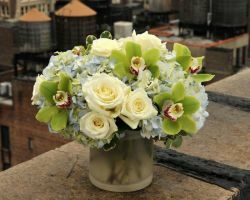 Barbara’s Flowers understands how important it is to have the freshest and most beautiful arrangements for your big day. With over 40 years of experience and two generations in the family dedicated to creating beautiful arrangements, you can be sure that this florist will provide you with the best. When searching for wedding flowers you should settle for nothing less than a floral genius and artist. Michael George has learned everything about flowers from his father. Over the years of his successful career he has turned this knowledge into an award-winning service. Not only is he now famous throughout the state but also has some incredible accolades to his name. With a strong team behind him, Michael has been able to focus on providing the best quality for every one of his customers. 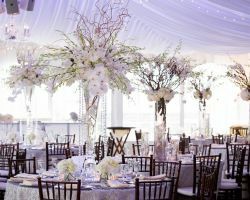 Bloom Floral Events is one of the few flower shops known for creating one-of-a-kind designs for the weddings and special events of their clients. 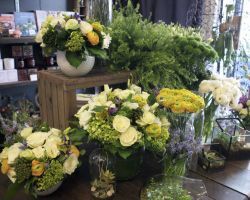 Though their services are not cheap, the shop has the very best selection of flowers, using exotic and Spanish flowers in order to make each bouquet even more unique. You will enjoy exclusive time with a floral designer to discuss the style of your wedding, your favorite flowers and how the two can merge perfectly into the arrangements made. 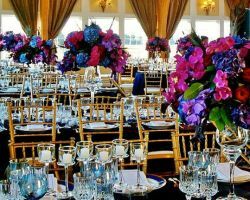 Most wedding planners in New York will point couples to the fancy flower services and designs of Scotts Flowers. The flowers delivery in New York City, the freshness of the plants and the high quality service are all reasons couples come to this shop. The team of floral designers and professional gardeners work collaboratively to ensure the perfect flowers are prepped and ready for your big day. You will not have to worry about a thing knowing that the team will also deliver and help set up their creations at your venue. You don’t want to have wilted or old flowers from a tired old shop for your wedding day when you can have the best New York City florist in the business. Jardin Majorele Flower Design is a luxury flower company that specializes in making beautiful bouquets and decorations for weddings. These fancy flowers will not only help to bring your fairytale wedding to life but will bring a sense of freshness and romance with the unique design style of the florists. Unlike many florists that only specialize in straightforward bouquets, Adore Floral Inc. is devoted to making something truly unique for your wedding day. They use a range of design inspirations that all come together to be arrangements that perfectly complement one another. 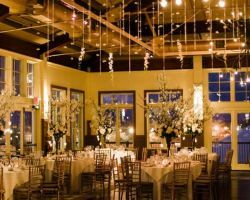 Their florist experts believe in a combination of modern style while the natural beauty of each bloom provides the greatest representation of what a wedding is all about. Visit for a consultation and priceless advice about your wedding flower displays.